One of my favorite parts of working in the kitchen at Flatiron is getting creative and switching things out on the menu. I absolutely love it. 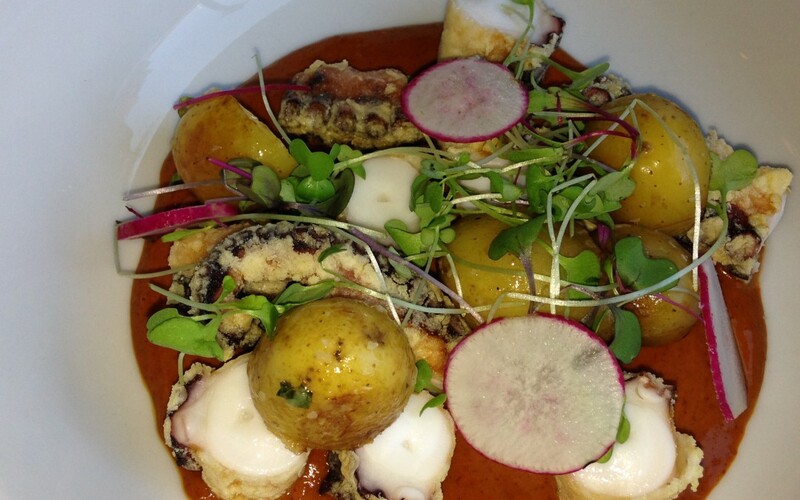 Right now we’re working up some new Fall menu items including this delicious Crispy Portuguese Octopus. I’m serving it with fingerling potatoes, micro cilantro and Chile Dressing. It will be available starting this week. I hope you’ll love it!